Sébastien Loeb and Daniel Elena, who have been unbeaten in Mexico since 2006, yesterday racked up their fifth consecutive victory and in doing so, scored a maiden win for the Citroën DS3 WRC. 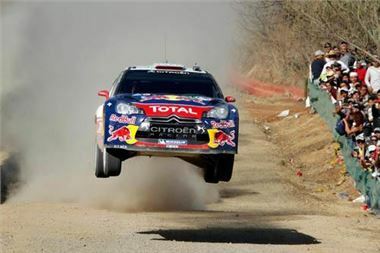 Loeb and Elena are now in second place in the Drivers’ World Championship. Petter Solberg and Chris Patterson drove a cautious third leg and brought their DS3 WRC home in fourth place as well as scoring a bonus point in the Power Stage.